While I manage dates and locations, I’ve chosen the 10th WordCamp Paris for this release and I’m a proud bronze sponsor of the event. As WordPress evolves, with the upcoming Gutenberg editor, I’m happy to announce that I’m already tuned to deal with it. 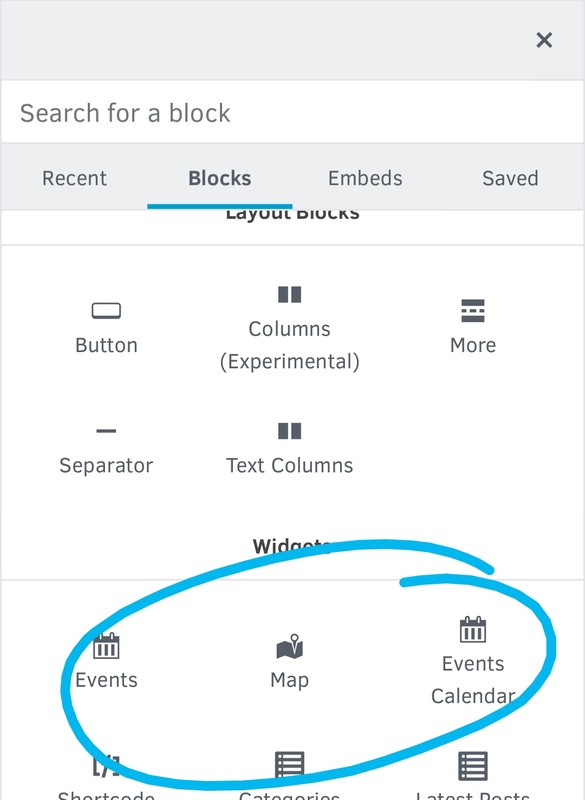 Events lists 📃 , maps 🗺 and calendars 🗓 have never been so simple to manage! Almost all options are accessible in a user friendly interface, with live preview. What else on the front side? 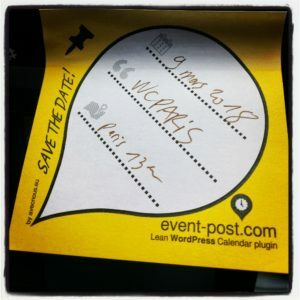 From now, Calendar widget can display events title directly under the day date, which allows you to expose a real big calendar in your WordPress site. 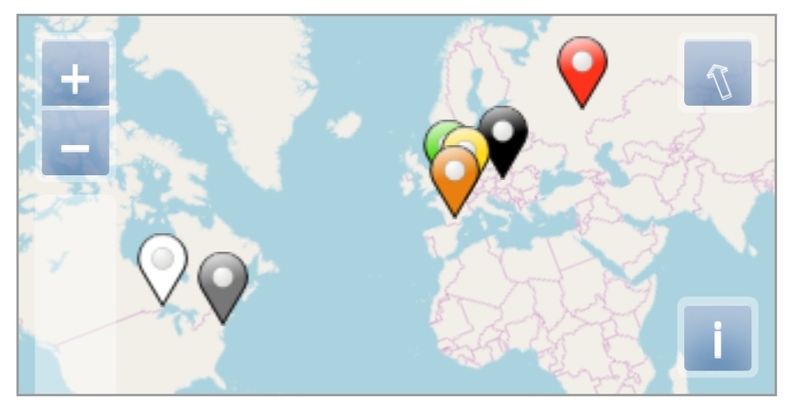 OpenStreetMap library has been updated to the last version, so it’s very much supported in recent themes. Event Posts now have Twitter Card Labels. Don’t know what it is? 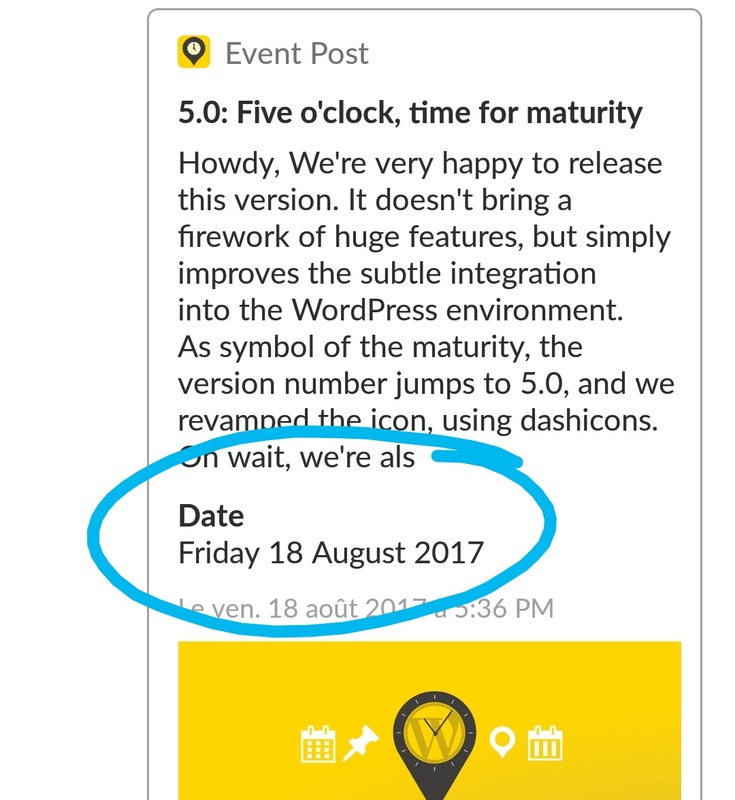 Just share a timed or geolocalized post in Twitter or Slack and look at the date and address. Many little improvements have been added for a better experience and some bugs have also been fixed.